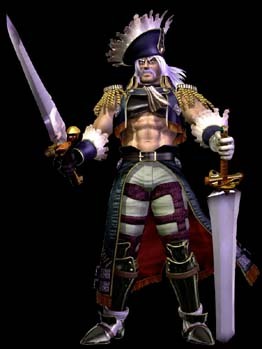 Cervantes de Leon came from a sea-faring family. 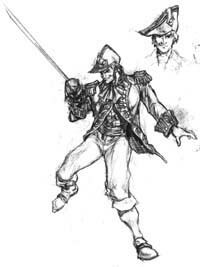 His father Phillip Leon was a privateer employed by the Spanish government. He and others like him did the jobs the mighty Spanish Armada could not. Phillip commanded a proud ship, and had been given a special commission by the king to loot in the name of Spain. Young Cervantes was proud of his father. Phillip had told his son that a good sailor was always strong and gentle. 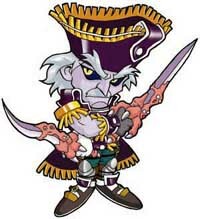 The life of a privateer was a dangerous one, though. On one voyage, Phillip's ship moved alongside an English ship in order to plunder it. Little did Phillip know that he was stumbling into a trap. 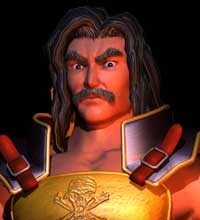 The vessel was actually an English warship in disguise, and it's cannons blasted the Spanish galleon to pieces. 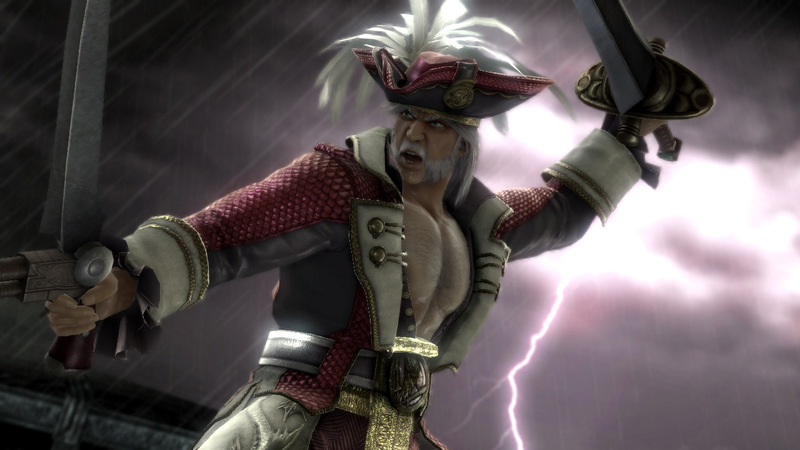 Cervantes was devastated by his father's death. He received his father's hat, Phillip's only remains. 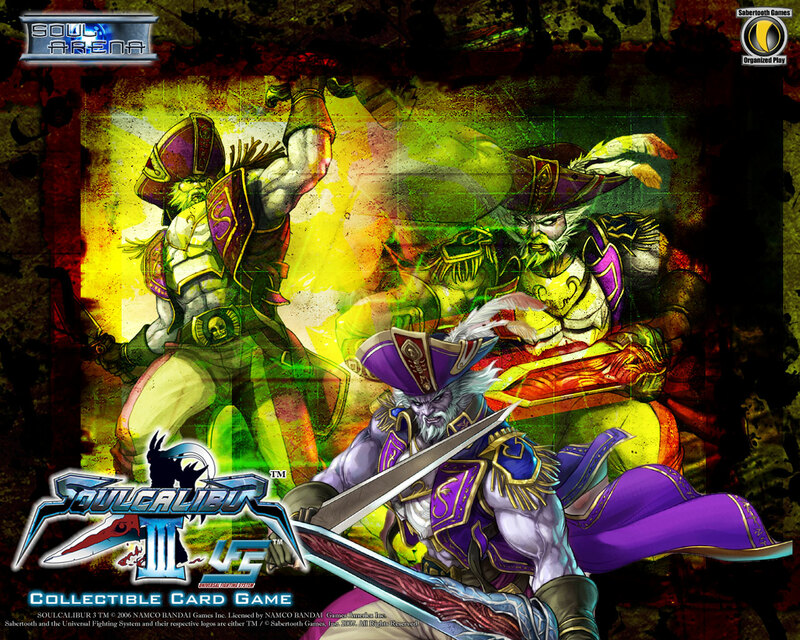 Cervantes became bitter, and came to believe that his father's allegiance to the crown had gotten him killed. 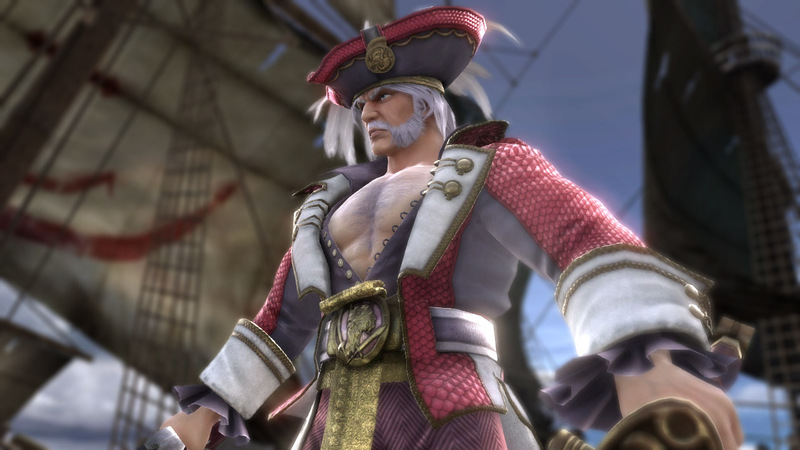 He swore that he would hold no allegiance to any country, and instead become a pirate loyal to no one. 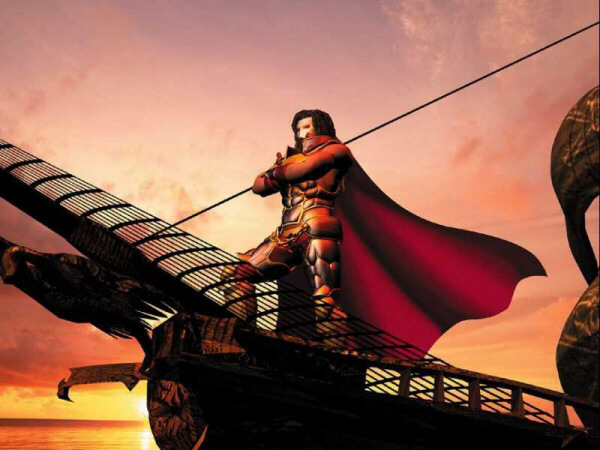 With his ship, the Adrian, he started a reign of terror across the Atlantic. 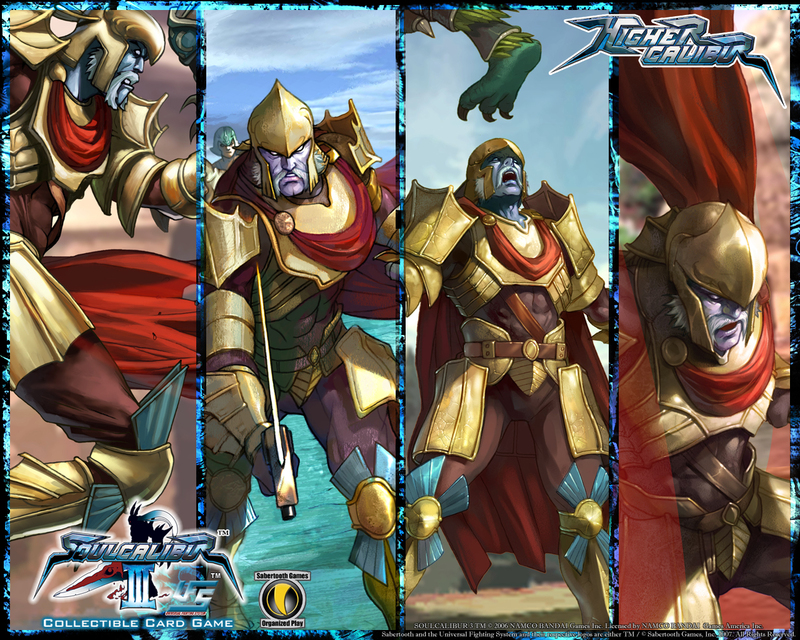 No one was safe, not even the invincible armada. 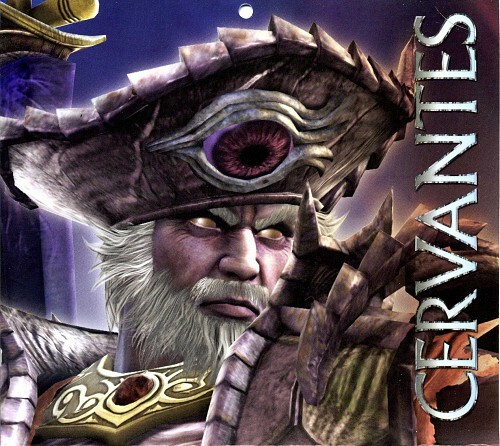 Years passed, and Cervantes' reputation grew. One day, Cervantes was visited at his haunt, the Black Tail Inn, by a messenger from Vercci, the "Merchant of Death." 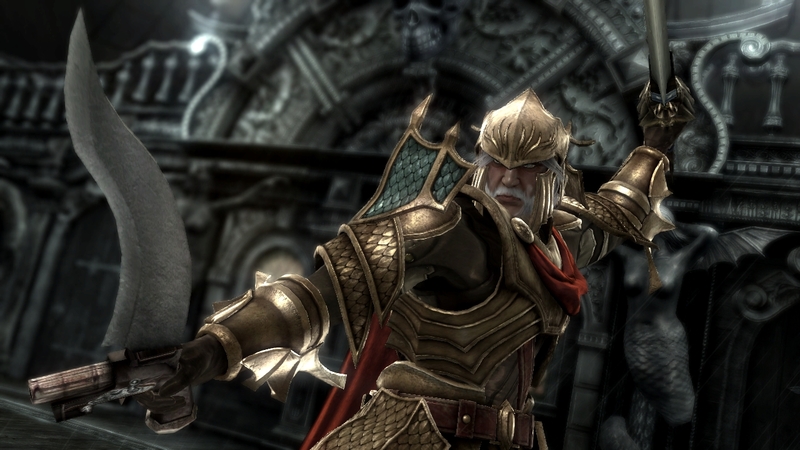 The messenger, named Voldo, requested Cervantes' help in finding the legendary sword Soul Edge for Vercci. 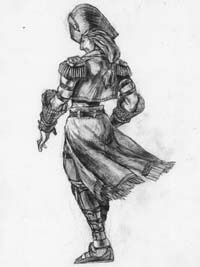 Voldo promised an exceptional reward for the recovery of the sword, and although Cervantes detested the thought of working for anyone, he accepted the commission on a lark. 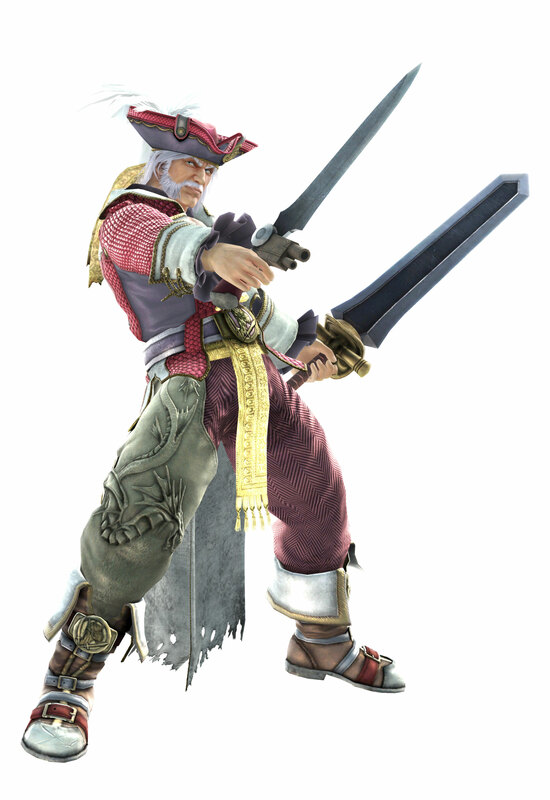 Cervantes searched for a year for the sword before finally finding a clue as to it's whereabouts. At a secret auction, an English antique dealer had made a successful bid on a strange article. The man, a Mr. Adams, took the item aboard his ship and left port. 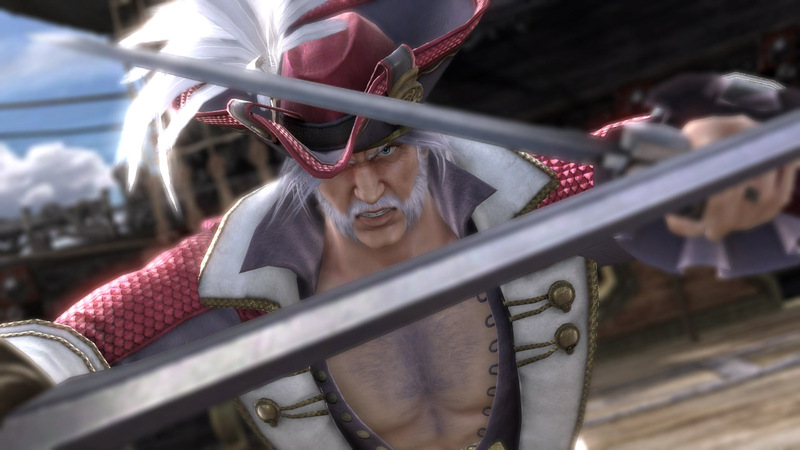 Even though there was no conclusive evidence that this was Soul Edge, Cervantes had grown weary of the search and could not give up such an opportunity. 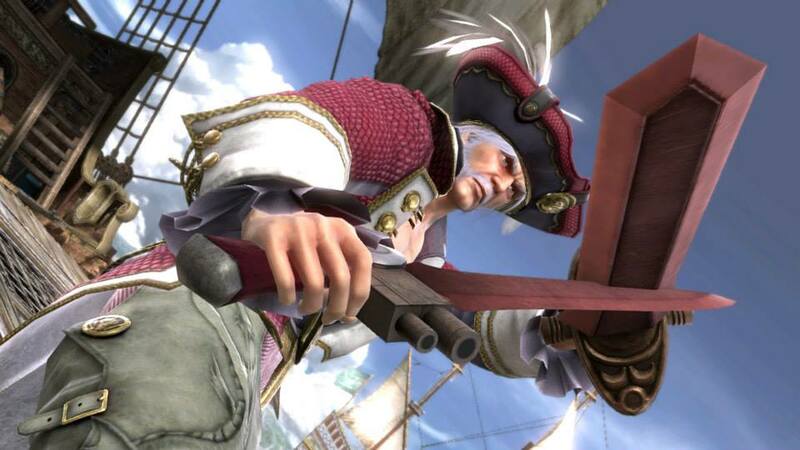 The Adrian intercepted the ship, and Cervantes found the mysterious item on board. 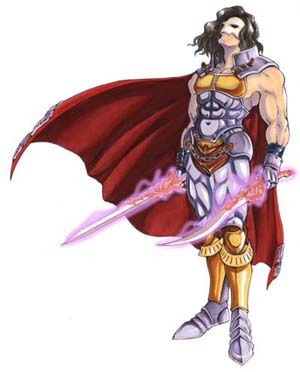 To his surprise, it was indeed the legendary sword. He took it and left the crew of the English ship to die. 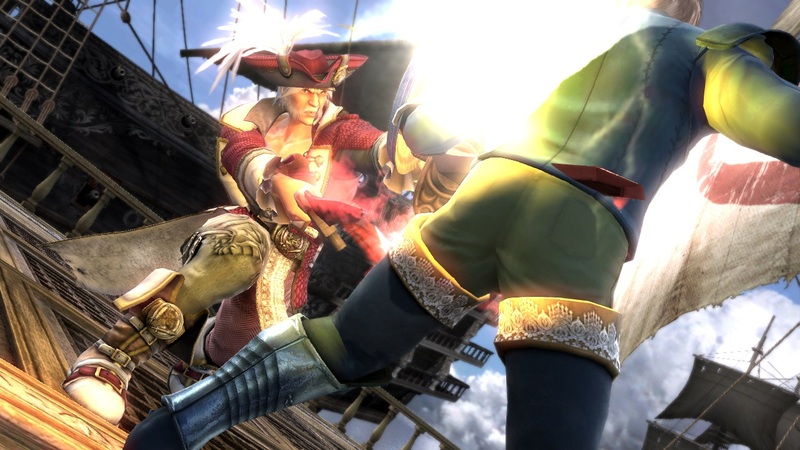 Cervantes decided not to take the sword to Vercci, and instead use it for his own purposes. Little did he know that the sword would ultimately possess him. 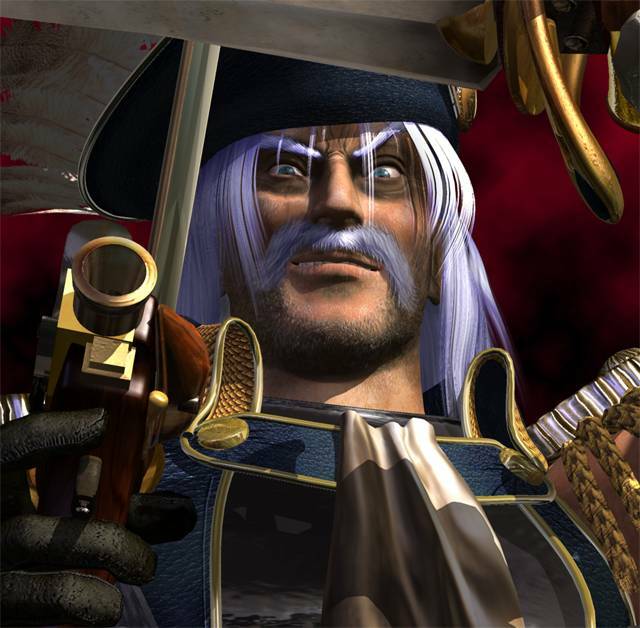 Once he was totally under Soul Edge's control, he slaughtered his entire crew and the population of his port base in Spain. 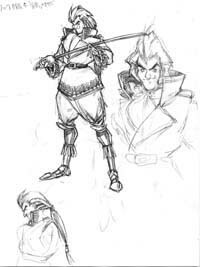 After the evil deeds, Cervantes rested in the Black Tail Inn once more. 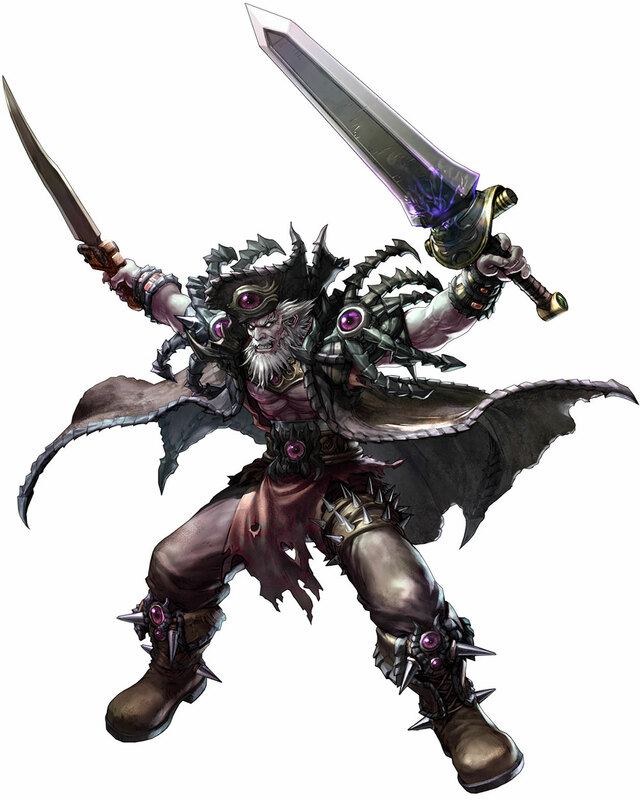 Temporarily satisfied with it's twisted desire to consume souls, the Soul Edge rested and prepared to create the "Child of the Evil Swords." 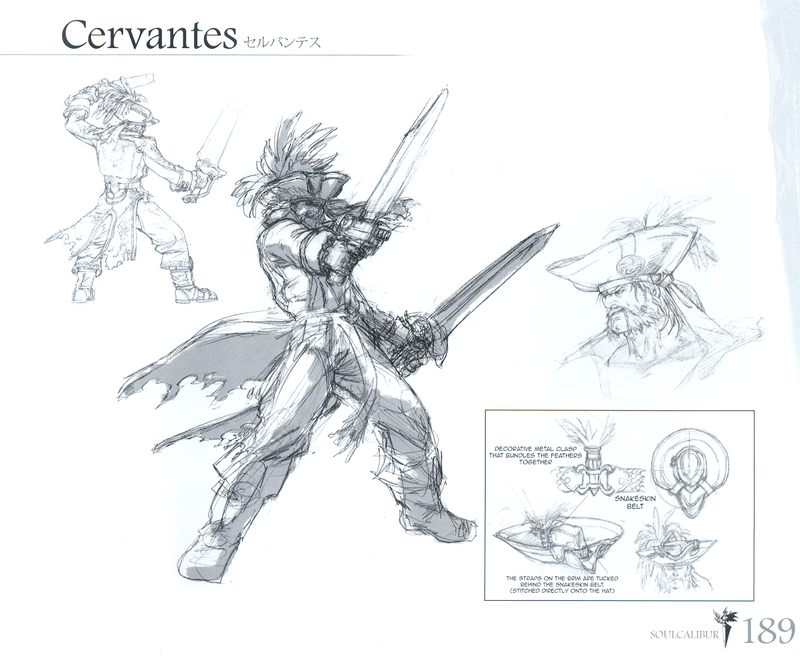 Twenty years passed, and Cervantes was not heard from. 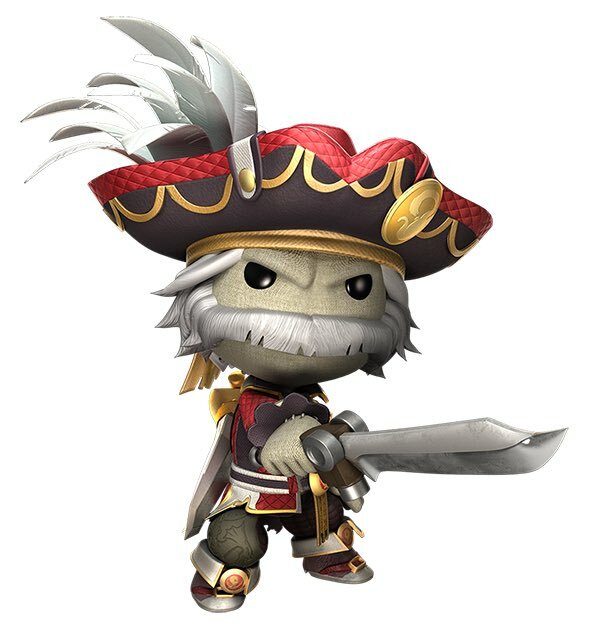 No one ventured to the port, and Cervantes never left. 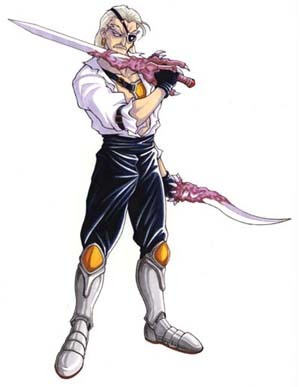 However, the rumors of the evil swords spread throughout the world. 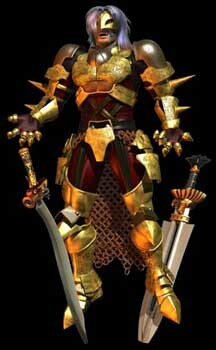 Some believed it was the sword of salvation, while others believed it was the ultimate weapon. 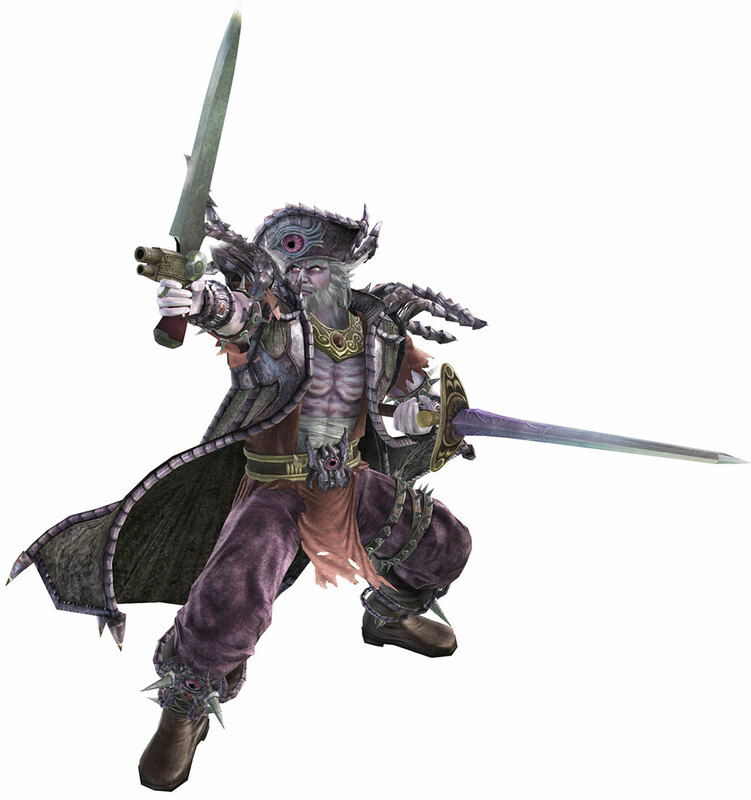 Many came in search of the Soul Edge, and eventually came upon the port town and Cervantes. 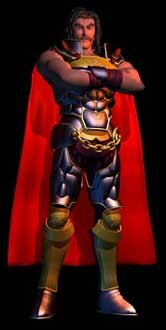 One by one, he defeated those who challenged him and Soul Edge devoured their souls. 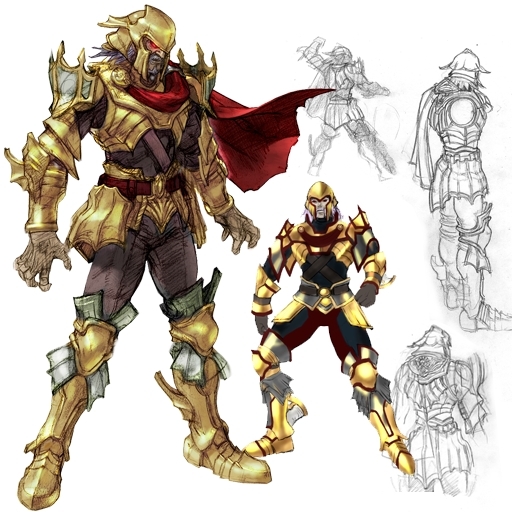 There was one though that fought the cursed fate. 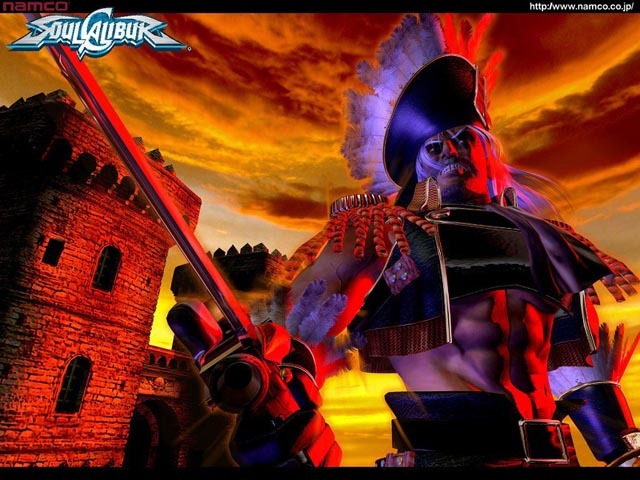 The Greek warrior Sophitia, who had been blessed by the gods, resisted Cervantes' attacks. During the grueling battle, she actually succeeded in destroying one of the twin swords. 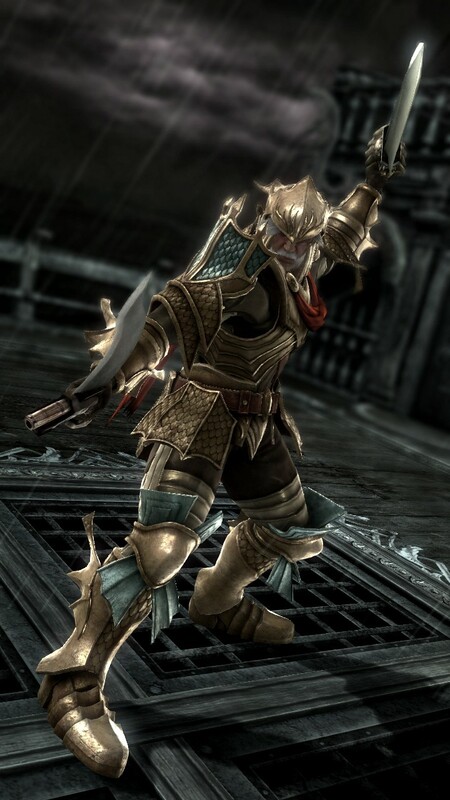 The sword shattered into pieces, and Sophitia was wounded by some of the fragments. 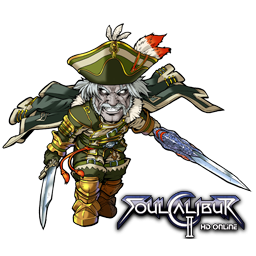 Consumed by rage, Cervantes was about to end her life when Taki challenged him. 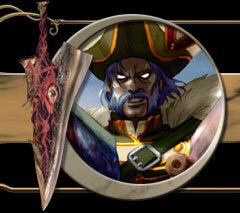 Because one of the swords had been destroyed, Cervantes had lost his control and was thus easily killed by Taki. 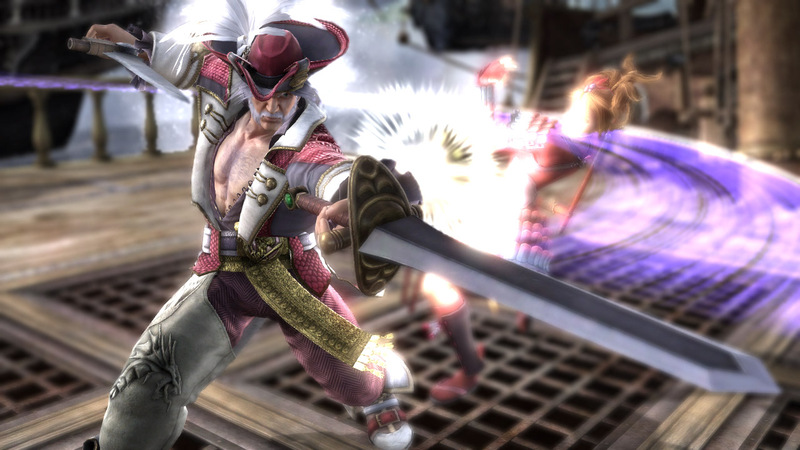 The two warriors left Cervantes' body and the remaining sword. 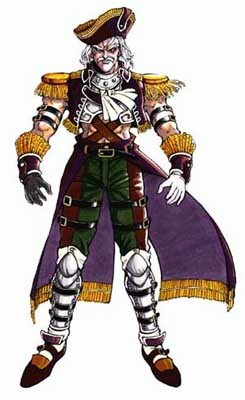 Another warrior, Siegfried came to the port town and stumbled upon Cervantes' body. 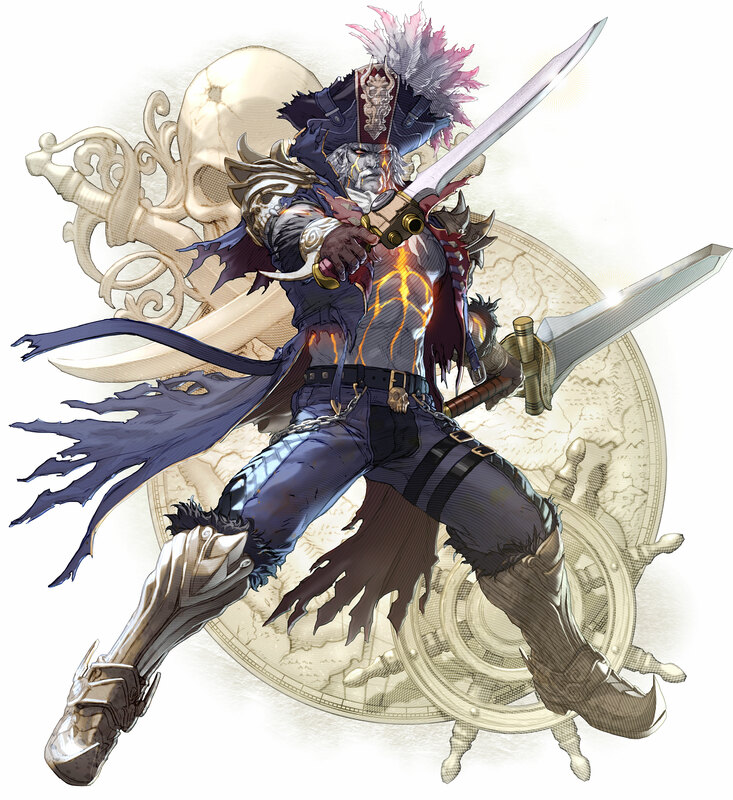 It was at this point that the essence of Soul Edge completely took control Cervantes' lifeless body. 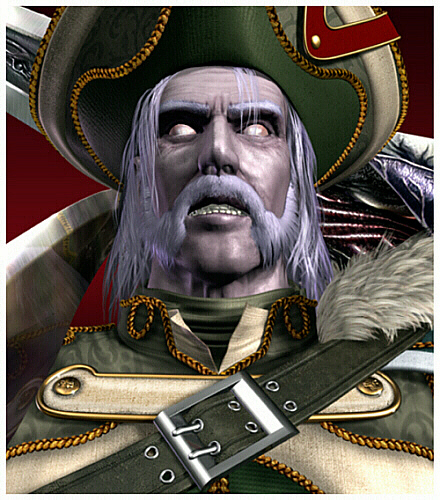 The demonic creature was nonetheless defeated and Cervantes was finally and truly dead. Or was he? 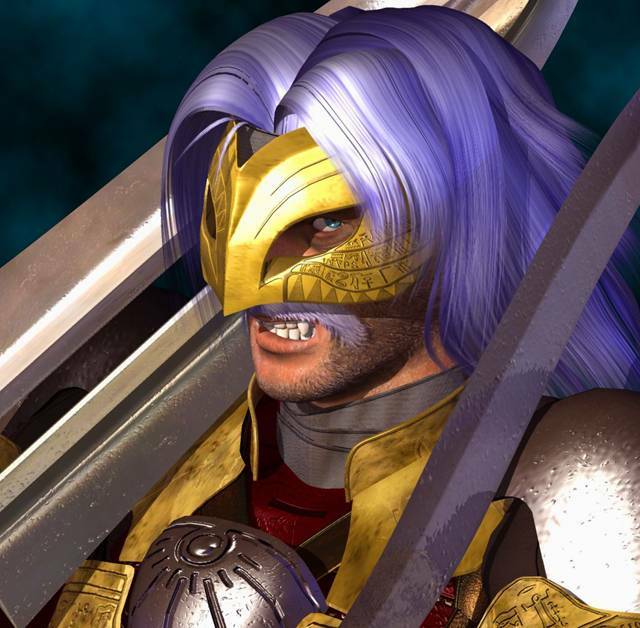 Years later, Siegfried (now known as Nightmare) brought Cervantes back from the dead for unknown reasons. 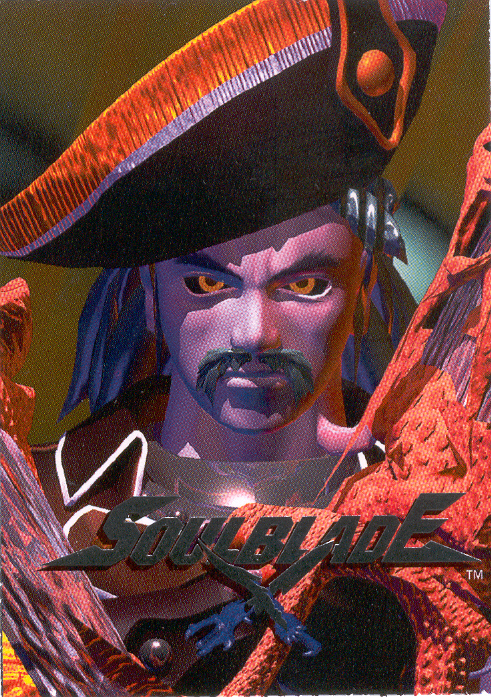 Freed from Soul Edge's control for the first time in years, Cervantes began his pirating career anew. 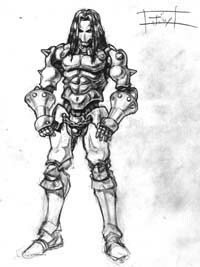 His ship, the Adrian, became a ghost ship and was surrounded by an otherworldly glow. 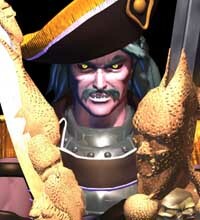 The eerie sight could be seen at dark when Cervantes prowled the high seas for his next victim. 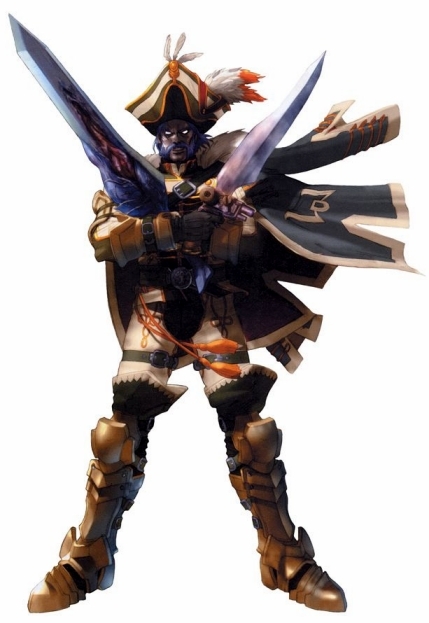 Due to the spread of the fire, his victims believed that they were surrounded by a large pirate fleet, and either abandoned ship or fell into a state of sheer madness. Cervantes plundered treasure ships from the Americas as well as the Far East, and even Spanish ships were not spared. 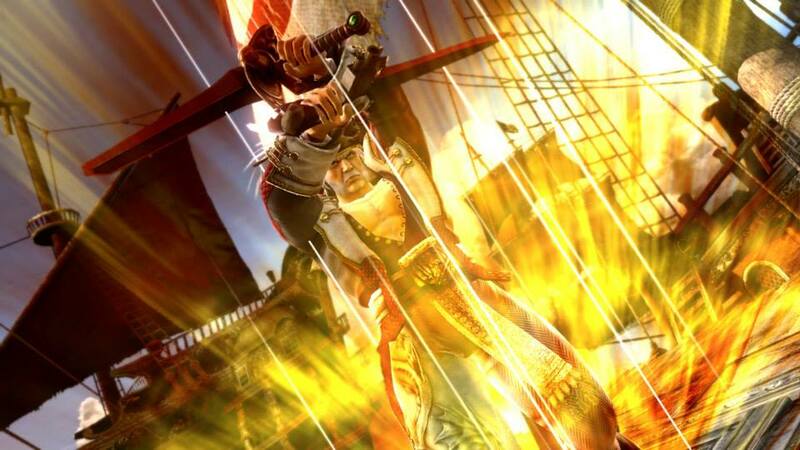 Cervantes once again became the terror of the high seas. 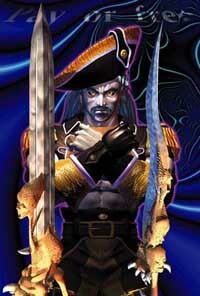 Cervantes became an instant classic when he debuted in Soul Edge. 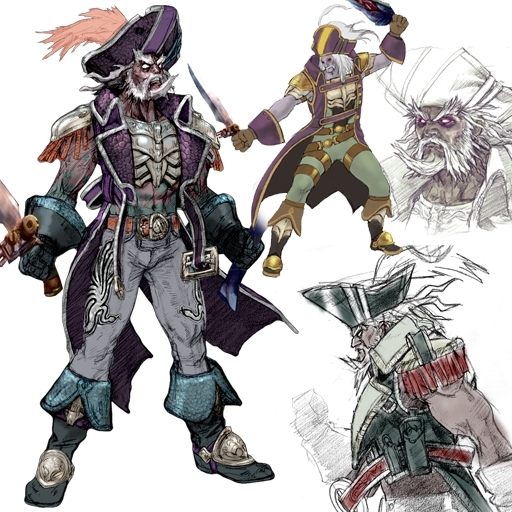 The fighting genre hadn't seen many "pirates" at the time of Cervantes's arrival, and he was definitely cooler than that Captain Kidd bloke from World Heroes. 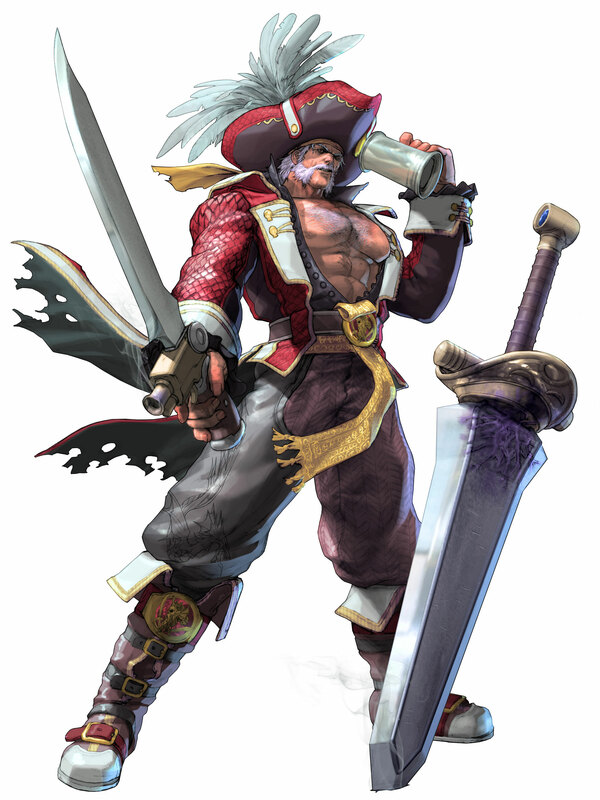 Furthermore, there weren't many "dual sword users" in fighting games either, another attribute that made Cervantes an instant classic. 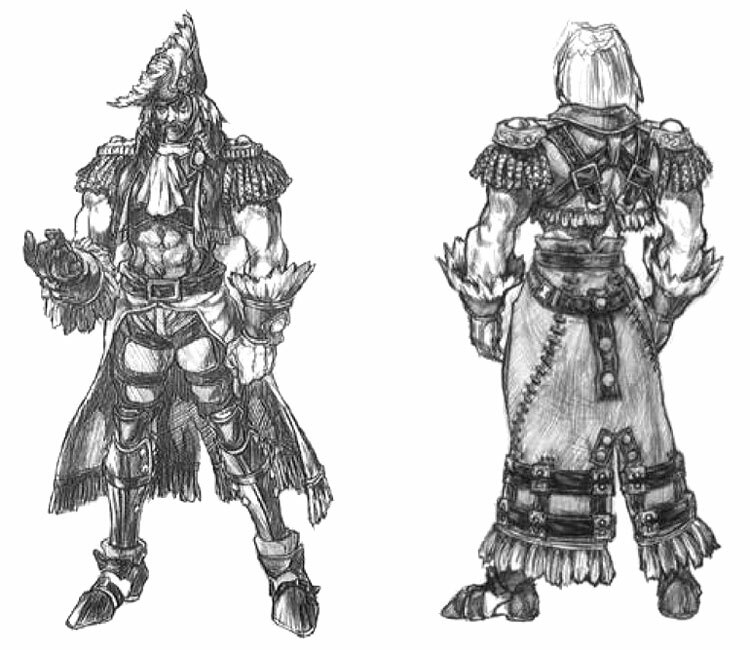 He has had a variety of different outfits over the years, all of which are pretty great. 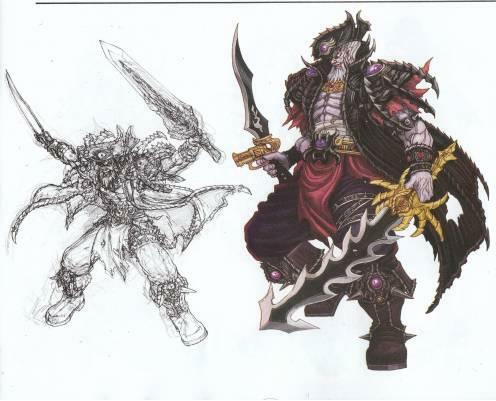 My favorite costumes of his would be his SC2 & SC3 costumes. 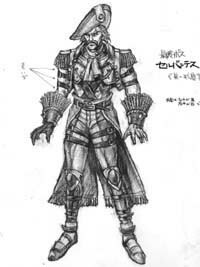 Due to some of his crazy special moves (such as his M.Bison-esk Psycho Crusher), Cervantes's fighting style was more "fantasy-like" when compared to others from SC. 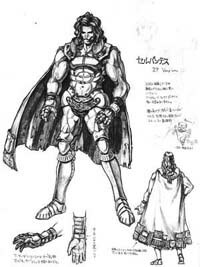 As the sub boss of Soul Edge, some of his "boss-like" moves were kind of expected... and became a trademark part of his design in future installments. 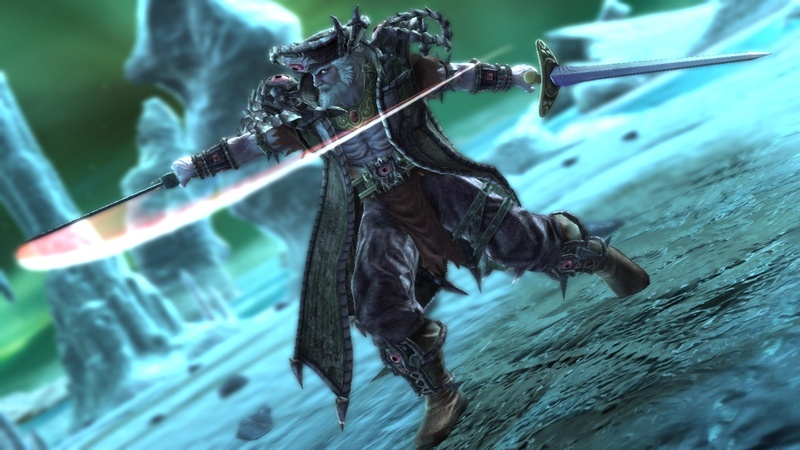 His moveset was nicely fleshed out in the later of the series, with the addition of some really cool "gun sword" style moves. 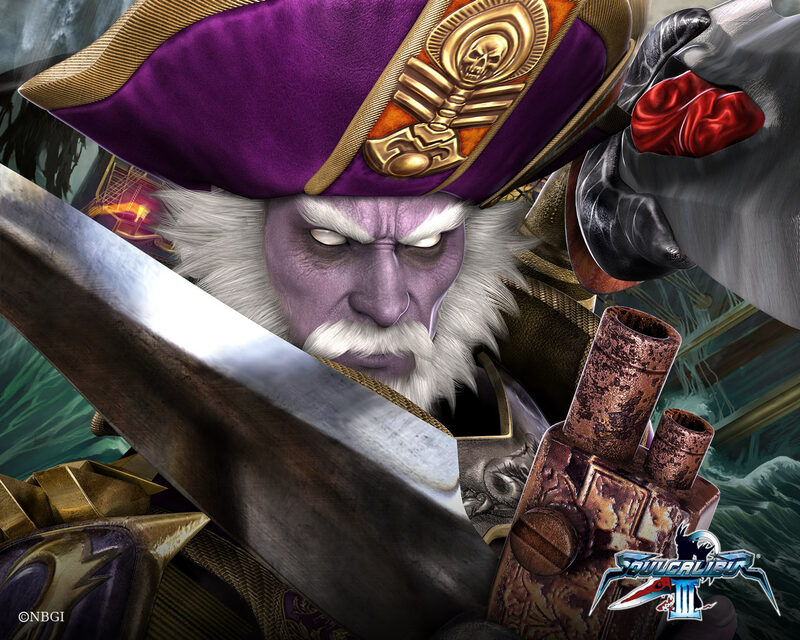 On a random side note, I love how Cervantes says "Not Enough" in SC2 (English version)... it's like he burps it out... and it never fails to make me chuckle. Seriously, his voice and phrases alone are worth a few points.